I caught up on some recorded shows this weekend and one of them was a renovated bath that a huge feature wall in the back subway tile. We are all so familiar with its white version but black can be a scary prospect. I must admit I was a little skeptical at first but is came together so beautifully. Would you be daring enough to try black subway? This is not the exact bath but you get the idea. 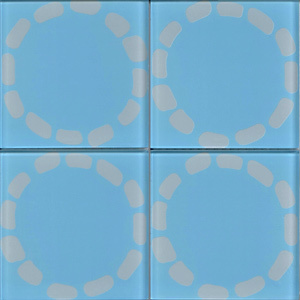 The Foundary has some amazing cement tiles for sale that I’m drooling over. 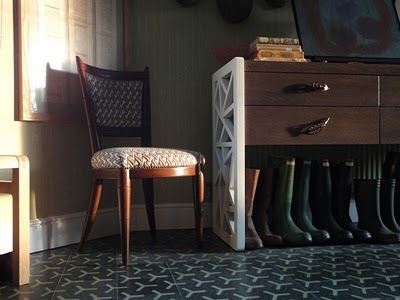 I’d love to buy them for my foyer which has a red mexican restaurant tile right now. Not good. 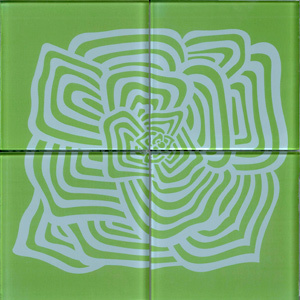 These beautiful tiles are all hand made with pigment dyes to create amazing, vibrant colors. 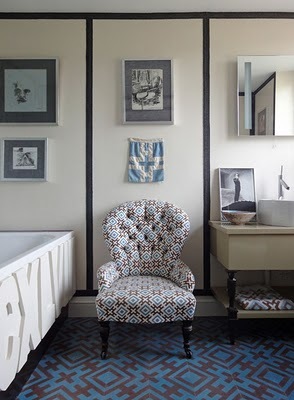 They are great so small spots like foyers, backsplashed and small bathrooms too. 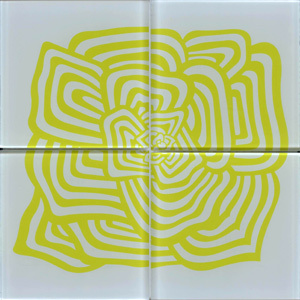 Yet another venture for the talented Ashley Hicks, who has teamed up with Morocco based tile company Popham Design to create tiles based on his late father’s work. 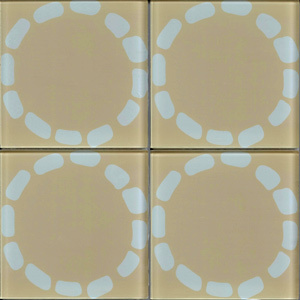 The tiles are made of cement and to colors are mixed by hand to give them a more vintage feel. 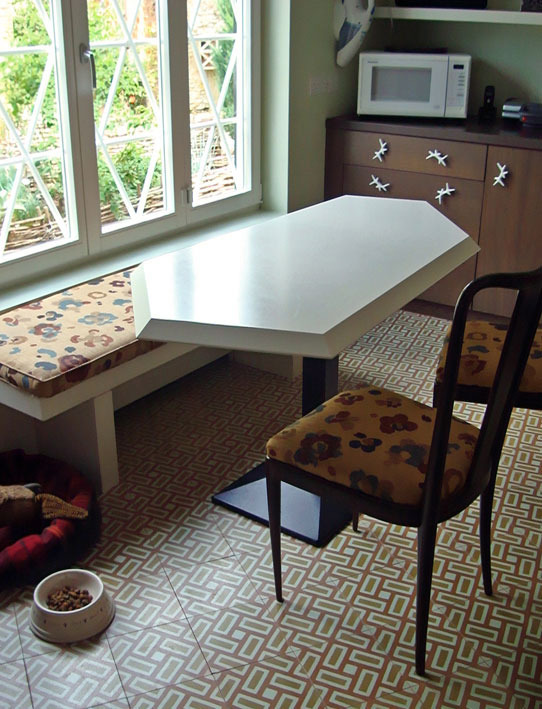 They cost $19.50 a square foot and are available via Ann Sacks. 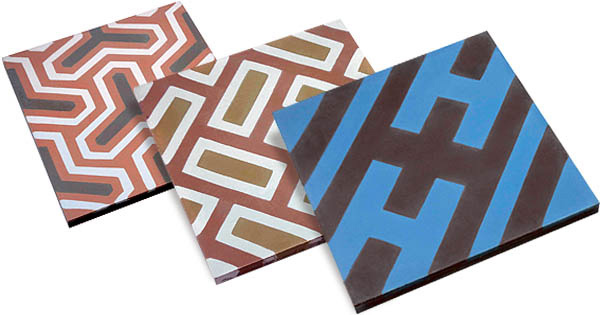 Love the graphic nature of these perfect for floors and back splashes! 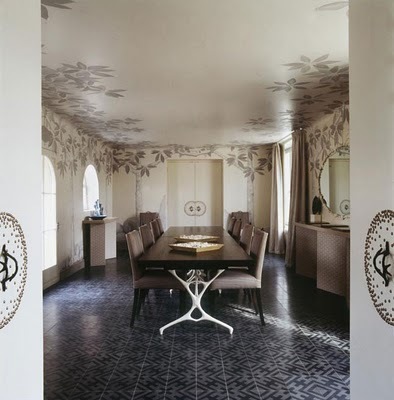 His fabulous home was recently featured in the January World of Interiors and showcases the three designs. 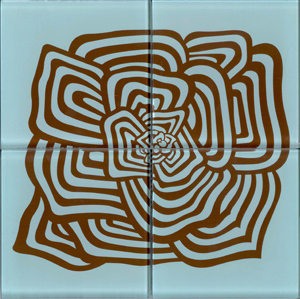 Check out these fun and stylish glass tiles I found on Henry Road. 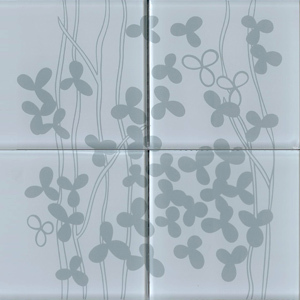 Henry Road created a collection of modern designs that kiln fired to the back of the Lush glass tile line from Modwalls. They are vibrant, beautiful and could be used in so many applications. 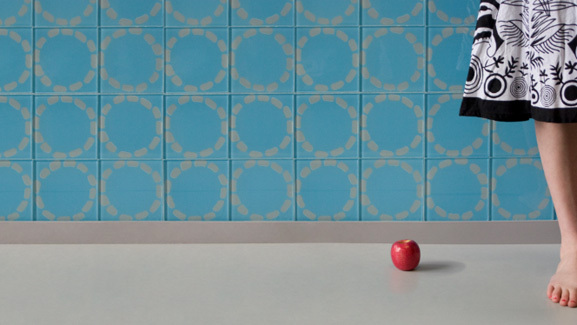 Backsplash. Detail in your shower. Or even a whole wall would be so stunning! Custom sizes and colors are available too.